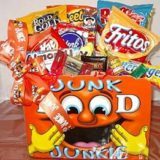 Our Amazing Fresh Fruit Basket of hand-selected fresh fruit is delivered in Phoenix, AZ and across the country just for you. 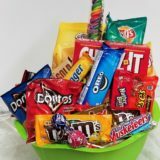 This is an Amazing Fruit Basket, custom designed by Basket Express, located inside Roadrunner Florist. 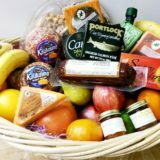 Each Fresh Fruit Basket is custom designed using the freshest fruit available from local farmers. 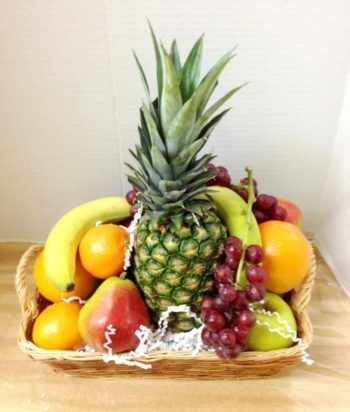 The Fresh fruit is hand-selected by Tina or Pamela, and we select the fruit we would like to eat ourselves. 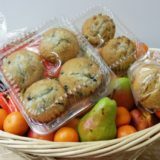 We choose from apples, pears, oranges, kiwi, and bananas, and then add seasonal fruit such as pineapple, peaches, plums, strawberries, mango and more. 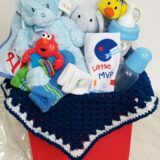 Perfect for a Thank You, a corporate gift, a baby or birthday, to send cheer to the hospital or condolences to the bereaved, our Fresh Fruit basket is always appropriate and always fresh! 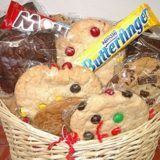 Our fruit baskets are delivered, not boxed and dropped off on a porch or driveway. 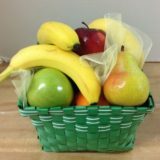 If you choose our Amazing Fresh Fruit Basket you know you are sending the freshest fruit available for local Phoenix delivery. 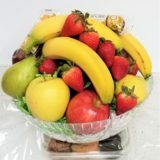 We work with a network of professional florists who can design and deliver your fresh fruit basket across the country.